Custom Orthotics FAQ | Podiatry Associates, P.C. Do I have to wear my orthotics all the time? How often you wear your inserts depends on why you’re wearing them, but in general, your custom orthotics are much more effective when you wear them consistently. Custom orthotics are designed to help support your feet and correct abnormal motion while you are using them. When you remove them, your feet will go back to the way they were. Custom orthotics are kind of like prescription glasses: they are helpful when you use them, and when you don’t, they aren’t able to work. If you’re new to wearing orthotics, however, your feet may need time to adjust to them. Remember, if you have biomechanical issues, your feet and body have gotten used to this unhealthy way of functioning. Changing what feels “normal” to you may involve an adjustment period, so at first you might only wear your orthotics for a few hours at a time. Our foot doctors at Podiatry Associates, P.C. will help you determine if you need orthotics and how to transition to using them safely. Make an appointment with our foot doctors online or call (303) 805-5156 to reach our offices in Parker, Castle Pines, or Cherry Creek, CO.
Can orthotics help with heel pain? Orthotics can certainly be used to help relieve heel pain. The specific kind of orthotic inserts you use will depend on your unique foot needs and the underlying cause of your discomfort. Often heel pain is the result of overuse or too much repetitive pressure on your heel. Inserts that cushion and support the back of your foot to reduce pressure there may be helpful. Sometimes you actually need additional support or stabilization in other area, like your arch. Custom orthotics can help control abnormal motion and maintain proper biomechanics, which may reduce the stress on your heels. The foot doctors at Podiatry Associates, P.C. will help you determine the underlying cause of your discomfort and if you would benefit from orthotics for heel pain. Just make an appointment at one of our offices in Castle Pines, Denver, or Parker, CO. You can reach us online through our website request forms, or by calling (303) 805-5156 today. Don't spend more time with heel pain when getting relief could be as simple as using custom orthotics. What's the difference between custom and store-bought orthotics? Custom orthotics and store-bought or “over-the-counter” inserts are not the same thing. Custom orthotics are special inserts that are prescribed by a physician like our experts at Podiatry Associates, P.C., and designed to fit your unique feet and needs. Through cushioning and support, they help your foot handle stress and function at its best. They are created by analyzing your gait and foot structure, then determining what you need for your lower limbs to work correctly. Because they are designed specifically for you, they can’t be used by other people. Orthotic inserts that you buy at the pharmacy, grocery store, or anywhere else are prefabricated insoles that are designed with basic foot types in mind, but not for your unique needs. They also offer support and cushioning, but they cannot help correct gait issues and may or may not be what your foot really requires to function at its best. That’s not to say they are never helpful; for people with mild foot pain, they might be just right. Let our team at Podiatry Associates, P.C. in Cherry Creek, Castle Pines, and Parker, CO, determine what orthotic you really need. Call (303) 805-5156 or use our website to make an appointment with us today. What kind of conditions can custom orthotics help? Custom orthotics are used to help many different foot and ankle conditions. 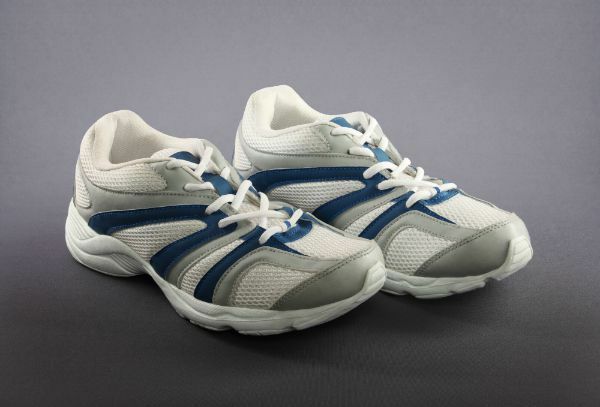 They are prescribed to alleviate limb discomfort and improve foot function overall. Some of the most common conditions they help include heel pain, flatfoot pain, tendonitis, bursitis, and diabetic complications, especially ulcers. There are two main types of custom orthotics: functional and accommodative. Functional orthotics control abnormal motion in your foot when you walk. This allows them to help treat problems like shin splints and tendonitis. Accommodative orthotics provide extra cushioning and support in your shoes. This helps alleviate pain on calluses or corns pressing into the foot, and padding places that might be prone to diabetic ulcers. What you need from custom orthotics will entirely depends on your lower limbs and the condition that needs to be treated. Our team of professionals at Podiatry Associates, P.C. will have to carefully examine your lower limbs, your condition, and your gait to determine what kind of orthotics you need, and what they should do for you. Make an appointment at our Castle Pines, Cherry Creek, or Parker, CO offices today to get evaluated. Use our website or call (303) 805-5156 to reach us. Should I run with orthotics? If you need orthotics to control biomechanical problems that could lead to injuries when you’re running, then yes, there are benefits to running while wearing them. Your prescription inserts will help you support your lower limbs and absorb hard impacts on the ground. They’ll keep your feet functioning in the way they were meant to, so that you can run without pain. Just keep in mind that this will affect how you fit and select your running shoes. To be fitted correctly, always bring your custom insoles and slip them into the shoes. Inserts change how your foot fits in a shoe, so you need to know and be able to accommodate that when you buy a new pair. Also, you won’t need stability or motion control sneakers. The orthotics already function in that way; wearing shoes that control movement, too, can over-control your lower limbs. That may actually prevent your foot from striking and pushing off the ground correctly. 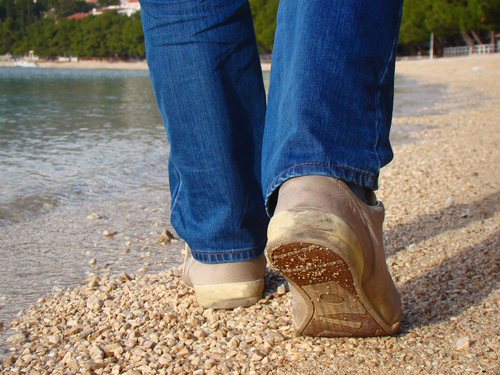 If you think you’d benefit from foot supports, or already know you need them, contact Podiatry Associates, P.C. to get a truly custom insert. Make an appointment by calling our Parker or Castle Pines, CO, offices at (303) 805-5156. How can I prevent bursitis in my feet? Avoiding bursitis is not only possible, it is actually the best option for your lower limbs. Typically this condition is caused by overuse in your feet or ankles. The strain aggravates the bursa, irritating it and causing painful inflammation. To prevent bursitis, you need to support your lower limbs and reduce strain that could cause overuse. 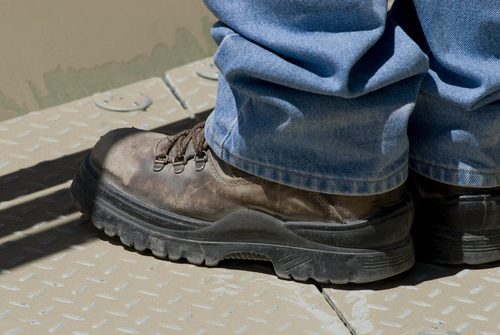 Wearing the right shoes is one of the biggest factors for preventing this condition. Use styles that have cushioned insoles, wide toe boxes, low heels, and appropriate support through the arch to help your feet absorb pressure. Orthotics can help correct biomechanical weaknesses and supplement the support in your shoes. 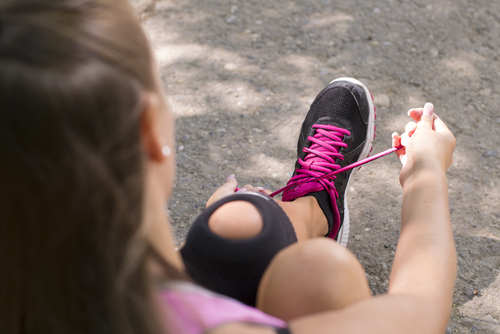 Stretch out your feet regularly to keep tendons from getting too tight and aggravating a bursa. Make sure you condition yourself carefully for all your activities so your lower limbs are able to handle the pressure. If you notice any pain, rest and address it. Our team at Podiatry Associates, P.C. can help you keep your feet healthy and strong. Just call (303) 805-5156 to make an appointment with our Parker, Cherry Creek, or Castle Pines, CO, offices.